Religion can be a crutch for patriarchy—and a tool to dismantle it. 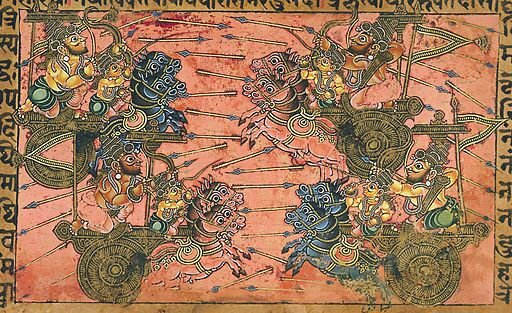 Battle scene between Kripa and Shikhandi from the Mahabharata. Credit: Wikimedia. Public Domain. This article was first published in The Aerogram.